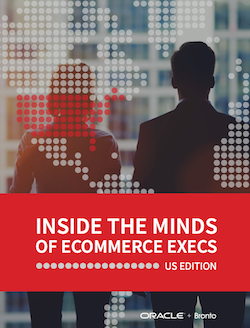 We surveyed ecommerce executives from the US, the UK, Canada, Australia and the Netherlands to learn more about their best practices. We wanted to know more about their top priorities, how they’re responding to consumer needs and how they’re optimizing their digital and mobile strategies, among other insights. What are the obstacles they’re facing, and which technologies do they think are key for future success? • The channels and tools they’re focusing on for driving sales and profits. • How brick-and-mortar and ecommerce can complement one another. • Their take on mobile strategy and optimization by device. • The technologies they would invest in if time and money were no issue.